A Maharashtra government-appointed Special Investigation Team (SIT) report has shockingly blamed farmers and farm labourers for a massive outbreak of contact poisoning by inhaling a toxic chemical cocktail during the intensified spraying of pesticides on cotton plants in order to fight the increasing menace of pests in the Vadarbha region. While the SIT, in its report made public recently, also recommends a complete ban on monocrotophos, an organophosphate that deploys systemic and contact action on crops, which is banned in many countries due to its toxic effects on humans and birds, the Maharashtra government only complied with a limited-period ban. Effected in November, prohibiting its sale and marketing for 60 days, the state government ban, says an investigation by the People's Archive of Rural India (PARI), set up by well-known rural journalist P Sainath, was “not enforced”. 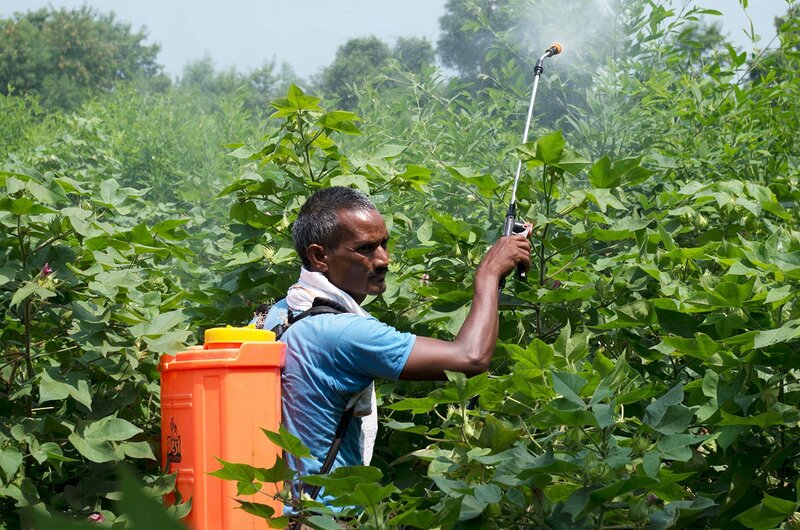 SIT was set up to probe into pesticide-related deaths and illnesses in Yavatmal and other parts of Vidarbha. Constituted on October 10, 2017, and headed by Piyush Singh, the Amravati divisional commissioner, other SIT members included Dr. Vijay Waghmare, in-charge director of the Central Institute of Cotton Research, Nagpur, and Kiran Deshkar from the Directorate of Plant Protection, Faridabad. The SIT report, in Marathi, submitted in December 2017, was made public only after the Nagpur bench of the Bombay High Court asked the state government to do so in January 2018, while hearing a public interest litigation (PIL) filed by social activist and former Communist Party of India (Marxist) worker, Jammu Anand. PARI investigation regrets, the Ministry of Agriculture, Government of India, has sought to underplay the tragedy caused by the pesticide, saying Maharashtra “saw 272 deaths due to pesticide poisoning in the last four years – implying that the 2017 phenomenon was not unusual”. However, it adds, government hospital data had a different story to tell. “Going by Vasantrao Naik Government Medical College and Hospital (GMCH) data and the accounts of the doctors who attended to the patients during the 2017 spraying period, Yavatmal had never seen accidental pesticide poisoning of that magnitude”, a PARI article says. Giving the example of Bandu Sonule, a farm labourer, aged 40, who collapsed on his employer’s cotton field in Amdi village on September 19, 2017, after he sprayed he sprayed pesticides on cotton plants in scorching heat, PARI says, he was first admitted in a local hospital, but was later shifted to GMCH in Yavatmal in an ambulance, died on September 23. Pointing out that most of the pesticide poisoning patients come to GMCH in Yavatmal for treatment, PARI says, those who come early and on whom the crucial cholinesterase test to detect organophosphate compounds in the blood is performed, are saved.